The All-New 2018 BMW X3 International Press Launch & 25 Years of BMW Group Plant Spartanburg Celebration, Spartanburg, South Carolina. BMW of North America is pleased to announce the all-new 2018 BMW X3, the latest X-vehicle to be produced at Plant Spartanburg. During the celebration of the Spartanburg plant’s 25th anniversary of producing BMW vehicles, attendees were able to experience the all-new BMW X3’s capabilities on the BMW Performance Centers off-road track. The All-New 2018 BMW X3. The all-new 2018 BMW X3 was unveiled today at BMW Plant Spartanburg, SC, where it will be produced alongside the BMW X4, BMW X5, and BMW X6. 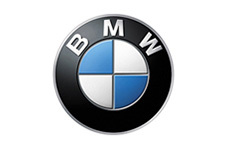 Livestream "Built in the US: The All-New BMW X3" Spartanburg, USA. The BMW Group Press Conference featuring the world premiere of the all-new BMW X3 in the BMW Group Spartanburg Plant will be transmitted live in the internet at www.live.bmwgroup.com and www.press.bmwgroup.com. Information on design and technical changes, as well as changes to standard equipment, lines, packages and standalone options are included in this document. Information for design and technical changes, as well as changes to standard equipment, lines, packages and standalone options is included in this document. BMW today announced the arrival of the enhanced, 2015 BMW X3 Sports Activity Vehicle®. In 2003 BMW founded the mid-size SAV segment with the launch of the original BMW X3. Since 2003, the BMW X3 has been a paragon of sporty dynamics, premium ambience and robust agility – accumulating sales of more than one million units worldwide in the process. 2013 BMW X3: efficiency, power and technology with new 4-Cylinder TwinPower Turbo engine. BMW of North America announced today a continuing evolution of efficiency, power and technology with the introduction of the new TwinPower Turbo 4-cylinder engine (N20) to the X3 xDrive28i. The BMW X3 was rated a Top Safety Pick by the Insurance Institute for Highway Safety. This first generation BMW X3 became a bestseller in the BMW line, both in the United States and in Europe. Through its lifecycle, over 600,000 original X3s were sold worldwide, with 150,000 sold in the US. Meanwhile, several other players have entered the now hotly-contested segment.